It's 00:02 in Pensacola, USA right now. 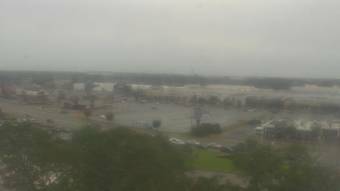 Sacred Heart Hospital A webcam in Pensacola, Florida - camera location: Sacred Heart Hospital. Pensacola, Florida: University of West Florida, 0 miles away. Pensacola, Florida: Holiday Harbor Marina Inc, 0 miles away. Gulf Breeze, Florida: Portofino Island Resort and Spa, 5.4 miles away. Navarre Beach, Florida: Seaview, 21.1 miles away. Orange Beach, Alabama: Island House Hotel, 24.4 miles away. Fort Walton Beach, Florida: The Gulfarium, 35.4 miles away. Valparaiso, Florida: Boggy Bayou, LaRoux Point, 43 miles away. Niceville, Florida: Okaloosa County EMA, 44.2 miles away.